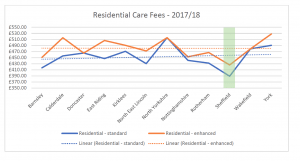 Residential care providers received much welcomed news that local authority care fees would rise up to 19% in 2018/19 following a cost of care exercise performed by the city’s council, in consultation with care home operators. Surprisingly we also see a change to the funding bandings, with the former three tier structure of “Standard”, “Enhanced” and “EMI” being replaced with a single funding banding for a classes of residential care. 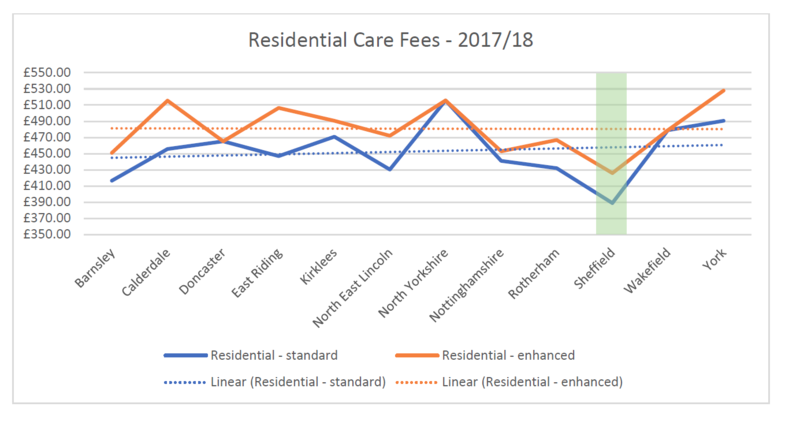 The increase comes on the back of increases of 3.2% and 4.32% in 2017/18 and 2016/17 respectively from Sheffield City Council, with funding levels beginning to catch much needed ground with what other local authorities are paying for residential care. 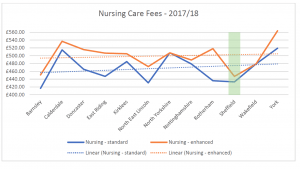 Nursing care providers, in some cases, received marginal increases in funding levels, which given further increases in living wage and pension costs, the uplift is disappointing news for providers. 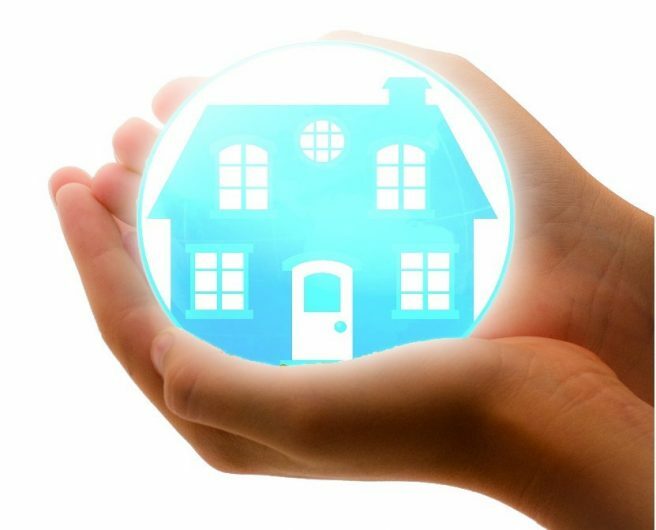 However, it should be noted that nursing care providers will also receive an element of funding from the Registered Nursing Care Contribution (payable by the NHS) in the region of £158 per week per resident bring the total funding received by providers to £603 per week per resident. 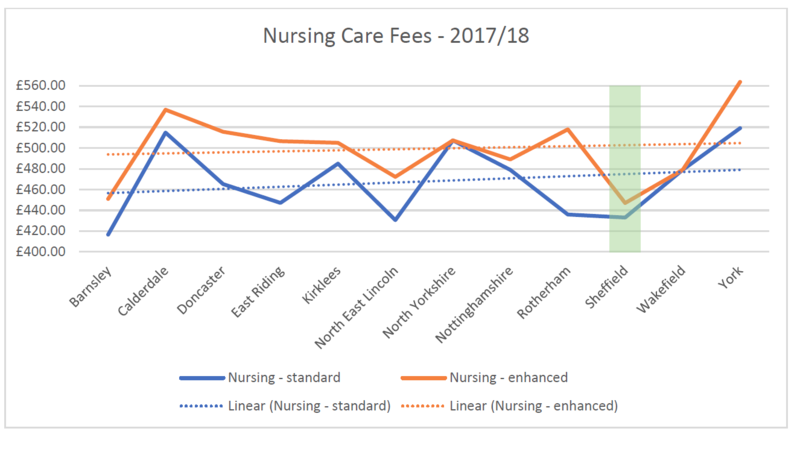 For those providers delivering enhanced and more complex levels of nursing care to residents the news of a marginal funding cut has come at a difficult time given the on-going nurse recruitment issues being faced both locally and nationally. We see a similar story regarding funding levels when compared to other local authorities, as demonstrated in the graph below, with Sheffield being largely behind the curve in funding levels.